Induction cooktops are really amazing appliances no doubt. It is the way in which the cooking world is slowly moving. Sure, many people still use conventional gas burners or electric stoves with heat coils, but those just aren’t up to snuff anymore. Those methods of cooking are inefficient in terms of cost and energy, they are dangerous and can cause fires and burns, and when something spills, a stuck-on mess is sure to follow. A slight issue with induction cooktops is that they only work with special induction-friendly pans, pots, and other cookware. Pots need to be made of a magnetic metal or have some kind of other induction-friendly coating; something like an aluminum pan will simply not work on these cooktops. On that same note, it can be hard finding a good non-stick pan that you don’t have to drench in grease to stop your food from sticking. So, are you looking for induction-friendly cookware that is also non-stick? Well, you are in luck because we are about to look at the best non-stick cookware for induction cooktops and some of the products they have to offer too. NuWave non-stick cookware has technically not been around for all that long. They started selling their products back in 1997 when induction cooking barely existed. However, NuWave has managed to take advantage of this cooking revolution and has begun to release some of the best induction cooktops, portable induction cooktops, and non-stick induction friendly cookware that is available today. NuWave is specifically about induction cooking, as they do not make gas or conventional electric cooktops. This brand is currently one of the most popular around and does not fail to deliver quality products at affordable prices. They have their own line of portable induction cooktops as well as the cookware specifically designed to be used with them. You can look at cooktops like the NuWave PIC Gold or the PIC Titanium. Along with their cooktops, NuWave also sells induction cookware, much of which is non-stick. When you buy the PIC Titanium from the official website, you even get to choose one of the pots/pans for free. One of their best options is the stainless steel induction-friendly frying pan, or the Duralon Ceramic non-stick sauce pans and frying pans make for some good options too. 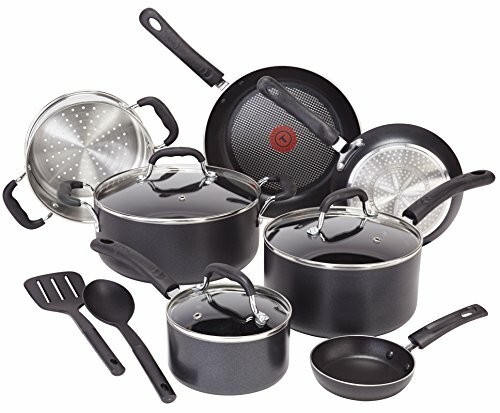 ​TECHEF non-stick cookware is another really good brand to look into if you want non-stick induction-friendly cookware. These guys are some of the first pioneers in the field of non-stick cooking. TECHEF is Korean owned and based. They started selling their non-stick cookware back in 1982 all throughout Asia. Since then the TECHEF brand has become extremely popular in both Europe and North America. The thing that really sets TECHEF apart from the rest of the competition is the method in which they apply their non-stick coatings. Many people complain that non-stick coatings can be potentially toxic when misused, but that is not the case with TECHEF non-stick cookware. These guys have combined non-stick Teflon coatings with a special method of print design application. This helps make their non-stick cookware some of the safest around. Their tech has become one of the leading methods of Teflon and non-stick coating applications in the world thanks to the safety factor which it brings to the table. There is also the fact that much of their non-stick cookware is coated with up to 5 or 6 layers of Teflon for durability and longevity. Now, not all of their products are induction-cooktop friendly, but many still are. One of the best options is their TECHEF BHIHF28 Non-Stick Induction Ready frying pan. It has 6 layers of Teflon with a durable ceramic exterior. It works great with all types of cooktops including induction cookers, it’s durable, and provides you with lots of functionality. Ok, so these are actually two different brand names, or sub-brand names to be exact. 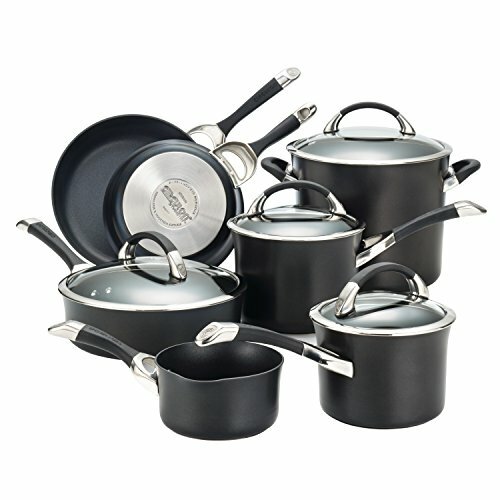 Both the Analon and Circulon lines of cookware are owned by the Meyer Corporation, which is based in the US with the parent company being located in Hong Kong. They are the second largest distributors of cookware in the whole world and the largest in the US. To be specific, Analon released its first line of non-stick cookware back in 1989, and since then, they have been creating non-stick induction friendly cookware. To be exact, Circulon actually came first, being created back in 1984 with the purpose of delivering non-stick Teflon pans made a certain way to reduce the abrasion and deterioration of the Teflon coating. Analon, the sister brand, was then created with the same characteristics, but also started making their pans thicker, more durable, dishwasher safe, and induction friendly. 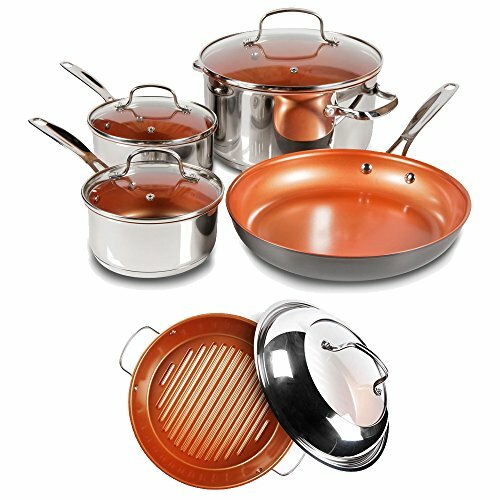 One of the best options to go with is the Analon Nouvelle Copper Hard Anodized Non-Stick 11 Piece Induction Cookware Set, which comes with everything you need to cook a full gourmet meal using an induction cooktop. Tefal is actually a French company that specializes in cookware. The company was founded back in 1956 by Marc Gregoire and has flourished ever since. In North America and other English-speaking countries, the brand is marketed under the name T-Fal, as opposed to Tefal. The name Tefal is actually a combination of the words Teflon and Aluminum. Now, aluminum is technically not induction friendly, but it can be coated with induction-friendly materials, plus T-fal also makes non-stick induction-friendly products that are not made of aluminum. T-fal, as you may recognize, is one of the world’s largest supplier of cookware, kitchen appliances, and other items such as linen care products, which is definitely saying something. 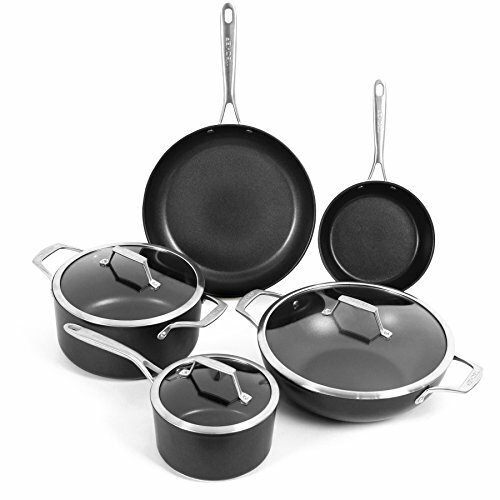 If you are looking for a good non-stick induction-friendly cookware set, you can look at the T-fal C515SC Professional Total Nonstick Thermo-Spot Heat Indicator Induction Base Cookware Set. These 4 brands are by far not the only cookware which make non-stick induction cookware, but they are by far some of the best around. Yes, there are other reputable brands known for their high quality, but we also wanted to include some brands that are more price friendly, such as T-Fal. The fact of the matter is that all of the above brands are some of the world’s best and most popular, all of which come with a good mix of affordability, durability, and functionality too. How to tell if your cookware is induction ready? I hope my review of the best cookware for induction cooktops has help with your decision in selecting a set of cookware. If you have any questions or comments, feel free to leave them below. My name is Heather Dunbar, and I'm the founder of Storefront Company, a place where I review portable induction cooktops and accessories. I welcome your feedback and suggestions.